Big Bear is an idyllic vacation destination, and is perfect for individuals, families, and friends looking to re-connect with the outdoors and embrace nature. With so many things to do, it can be tough to know where to start when you’re in a new area! Fortunately, Big Bear has a number of tour providers that are committed to showcasing the best of what the area has to offer to our visitors. 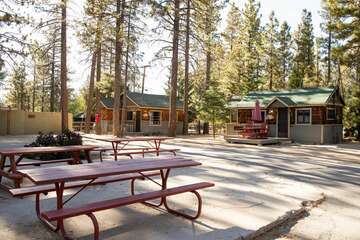 Read on to find out where to go for the highest quality Big Bear Lake Tours! 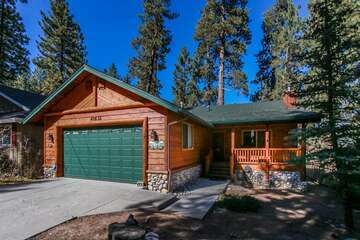 Finding the best Big Bear tours for you really depends on which aspects of Big Bear you might be most interested in. With options at Big Bear Lake, Big Bear Village, Bear Mountain, Snow Summit , and off-road, there are tours and activities for all types of people, from the most timid adventurer to the most fearless explorer. Big Bear Lake is home to the likes of the Big Bear Queen, Miss Liberty, and the Pirate Ship. The former is a sixty-passenger antique paddlewheel boat that departs from Big Bear Marina, taking visitors on a ninety minute excursion on the lake, featuring historical information on Big Bear Valley, the solar observatory, Garstin Island, the homes of celebrities, the Four Dams, ideal fishing spots, and more. Similarly, Miss Liberty is another paddleboat that seats one-hundred and twenty-five and performs historical tours. The Pirate Ship, alternatively, is a one-third scale replica of a sixteenth century Spanish galleon ship that features a full bar on board, and offers tours to the public and for private parties. You’ll also might find a Big Bear Lake Boat Tour to show you around the lake! If you’re looking for a landlubber’s experience, try Big Bear Jeep Experience, which allows you to drive their jeeps off-road all around Big Bear Valley’s jeep trails, which extend for hundreds of miles. Action Zip-line Tours supplies thrills with its zip-lines that range from one-hundred and twenty to eight-hundred and twenty feet, with nine lines in total. For a winter tour, you should go with Action Snowshoe Tours, which will take visitors ages ten and older on a three-hour excursion in the snow (with equipment provided) of Big Bear. Trails can range from easy to difficult and every experience is customizable. 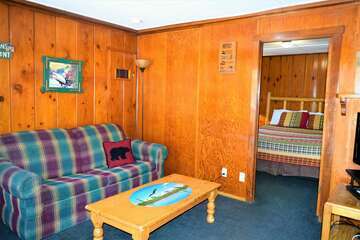 Centrally located to all that is fun in Big Bear, Big Bear Cabins offers a variety of lodging options to serve as your “home away from home” after long days of touring the area. Contact our vacation planners today to learn more about Big Bear Tours and what you can expect when you reserve one of our gorgeous cabins!